Harold Lovell spent a week in an isolated room at a Calgary hospital emergency department waiting for a bed to receive mental health treatment. The 22-year-old man with autism had turned himself in to authorities when he was experiencing violent thoughts. After his week-long stint in isolation — a secure space health officials use for patients who pose a danger to themselves or others — Lovell spent another day at the Foothills emergency room, this time in general population. Then his mother had him discharged. After eight days in the ER, he left without ever being admitted to hospital. He was simply given a referral to see a psychiatrist, according to his mom, Brenda Valerio. "I did finally talk to a psych nurse who made it very clear to me that 'this is the way it is,'" said Valerio, who has the authority to make medical and financial decisions on her son's behalf. "There are are no [free] beds. We don't have enough people. We're overworked … and there may not be a bed for a week or two," the nurse said, according to Valerio. Alberta Health Services said it can't comment on individual cases due to privacy laws, but said generally patients deemed to be a danger to themselves or others are given "appropriate care" in a secure treatment space in emergency rooms. 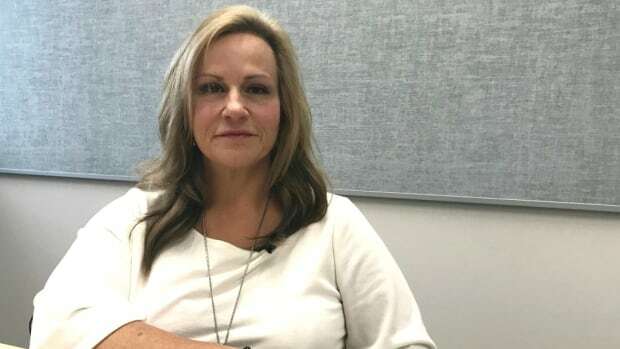 In a statement, the health authority said it's not uncommon for all mental health beds to be full — there are about 200 acute care beds for adults in the Calgary area — and it's looking for ways to "better manage the increasing demand." When he was four, Lovell was diagnosed with pervasive developmental disorder — not otherwise specified, which means he's on the autism spectrum but doesn't fit the criteria of another diagnosis. Lovell said he was having violent thoughts earlier this month and it worried him so he turned himself into police, but he never acted on those thoughts. His mother said an officer later took him to Foothills hospital where he was detained under provisions of the Mental Health Act. Lovell said the isolated room he stayed in for a week was locked from the outside. Still, he was allowed visitors and saw his grandmother daily. While he had enough food and water, he had to ask for permission to use the washroom. He said a doctor stopped by once or twice a day to see how he was doing. At one point, he said he was given a DVD player to watch a movie, but he said that was a rare privilege. "There may as well be zero mental health support in Calgary," he said. In its statement, AHS said its health care providers ensure every patient receives​ the care they need. Patients in emergency departments are assessed daily and "provided with appropriate medication and treatment while waiting for an in-patient bed." "AHS Addiction and Mental Health is looking at all possible ways to better manage the increasing demand for acute mental health care in city," the health authority said. "These include ensuring alternatives to hospitalization including outpatient and community programs are fully explored before deciding to admit patients and reassessing patients daily to ensure admission is still necessary." Valerio said she regularly followed up with doctors and nurses about her son, and grew increasingly frustrated there were no beds available. On his seventh day in hospital, she says a doctor told her they planned to discharge her son, which she disputed, arguing her son needed to be admitted. What she didn't know at the time was the staff had already told Lovell he was about to be discharged. Then, after doctors agreed with Valerio to keep him, her son became angry. Valerio said her son was restrained on a bed and sedated for about eight hours. She saw him that day. "He's tied down — his arms, his legs, his shoulders — he can't move," she said. "And he said, 'mom, I don't know why they didn't discharge me. They told me I was going to go home and then they didn't let me go and no one's told me why. "And I said, 'I'm sorry, honey, I didn't know they told you that. You weren't ready to go; you haven't had any treatment.' And he said, 'there is no treatment,' and I said, 'there is.'" Valerio said her son hadn't brushed his teeth for a week, something his elderly grandmother hadn't realized during her visits. That night when she went home, she resolved to have him discharged the next day if there wasn't an inpatient bed immediately available for him. "He had already given up that they could do anything for him," she said. Valerio said the hospital stint was a glaring example of her struggles to secure care for her son with autism. "He's been involved with every agency you could possibly imagine," she said. "People are under the impression that there is a magical place [that could help Lovell and others like him] and there isn't."